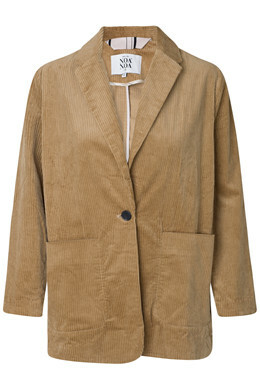 Oversize corduroy jacket with a single button fastening. 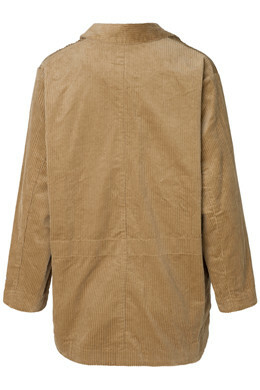 The jacket features two open pockets at the side and long sleeves. Wear it open with a belt at the waist to enhance your figure.